With Thanksgiving around the corner, it’s just about time to start making preparations for your Christmas decorations. Chief amongst them, your Christmas tree requires some special considerations. As most families put up their trees the week before Thanksgiving, that leaves roughly one month to settle a handful of very important questions. Are you looking for an extremely tall tree? A tree with a unique fragrance? Or, maybe you’re more interested in traditional Christmas trees? In this post, we’re going to discuss a few of the many options available from Premium Christmas Wreaths. 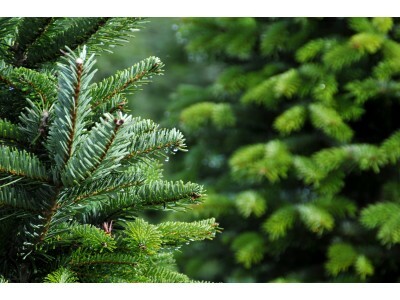 In the realm of traditional Christmas trees, the Balsam fir is king. Known for its deep green needles, tapered shape and evenly-spaced branches, this is the tree that has adorned countless living rooms since time immemorial. A unique tree in fragrance, shape and appearance, the Concolor fir features long, wispy needles that lend the tree a soft look. Releasing a strong citrus scent, the Concolor is a great way to add some color – and fragrance – to your home! With a history dating back generations, the Scotch Pine is a great value. Featuring extremely full branches and a solid build, the tree is an excellent choice for families that love to overload their Christmas trees with ornaments and lights. At Premium Christmas Wreaths, we want all of our clients to get the most out of the holiday season. Carrying a wide range of Christmas trees, decorations and fresh Christmas wreaths, many of our products can be delivered right to your doorstep. Whether you’re looking for a massive, towering tree or a smaller, more subdued tree, we can help you find the tree that your living room needs. So, if you’re starting to put some thought into this year’s decorations, be sure to visit our online store!